A drink-driver from Bognor will appear in court after refusing to cooperate with a roadside breath test on Friday (March 1), according to a Sussex Roads Police officer. PC Tom Van Der Wee said officers attended a report of a suspected drink-driver at around 7.40pm in Waterside Drive, Chichester. He added: "Officers stopped a vehicle and required the driver to cooperate with a roadside breath test. The male refused and was arrested. "At custody he provided an evidential of breath of nearly three times the drink drive limit." Police confirmed Zheko Petrov, 38, has been charged with driving whilst over the prescribed limit, driving without insurance and driving without the appropriate licence. PC Van Der Wee said: "His vehicle was also seized due to having no insurance. 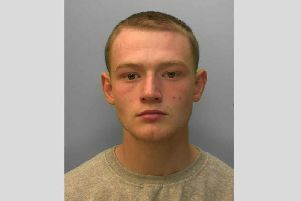 "He has been bailed to attend Worthing Magistrates Court on Tuesday, March 19."